The Managing Director and Chief Executive Officer, Law Union, Mr. Jide Orimolade, disclosed this during a courtesy visit by the association to the company in Lagos, a statement by the firm said. He appealed to the association to support the company and the insurance industry to create more awareness for public buildings insurance and builders and occupiers liability insurance, which have been made compulsory by the nation’s law. Orimolade said what was paramount in facilities management in corporate organisations was the safety and security of people and assets as well as business continuity in the event of fire outbreak and other risks. 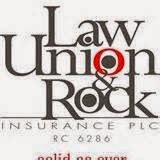 He described Law Union & Rock Insurance as a solid and consistent organisation that had been in the market for 63 years. While encouraging people to embrace insurance, Orimolade said no premium was too high since insurance was aimed at providing peace of mind should an unpredictable incident occur. The President, IFMA, Mr. Tunji Okesola, commended the company for its achievements so far, assuring it of its full partnership and support. The IFMA members were conducted round the company’s premises by the Chief Executive Officer, Lavender Property Company Limited, Mr. Gbenga Obadua. Members of the association commended the company for its good maintenance culture and advised facilities owners in the country to ensure proper maintenance of their facilities, using professional and well-trained facility managers. Also present at the event were Chief Finance Officer, Law Union, Mr. Shola Fowora; Head, Research & Strategy, Mr. Idongesit Mbat; and Vice-President, IFMA, Mr. Pius Iwundu. Others include the General Secretary, IFMA, Mr. Lekan Akinwunmi; Assistant General Secretary, Mr. Tunji Kuku; Treasurer, Mrs. Olusegun Adamoleku; and Executive Secretary, Mrs. Bamidele Chinedu.